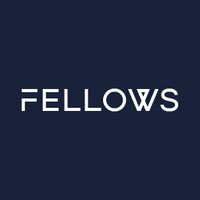 Fellows is pursuing a variety of business opportunities in Asia having identified the region as having potentially huge need for its UXO risk mitigation services. The region’s significant risk of explosive remnants of war from WW2 is set to become a major issue in the face of plans for extensive development of Offshore Wind Farms (OWF) for power generation. This is particularly the case in Taiwan, which is why Fellows recently attended Asia Offshore Wind Day in Taipei. This platform enabled Fellows to discover more about the country’s potential for up to 5 gigawatts of OWF energy opportunities and the fact that little is known within the industry about the hazards posed by UXO for these major construction projects. During the five-day event Fellows was able to forge numerous useful contacts with a variety of suppliers, consultancies and government organisations including the Department for International Trade. Each of these offer strong routes to market for Fellows and there are potential future meetings with the Republic of China Navy, Coastguard and the Ministry of Energy - all of whom will play key roles in the region’s OWF future. Taiwan offers Asia’s largest potential market, so Fellows has it set as the priority target for business development. Successful contracts here will also open doors to work on projects in Vietnam, South Korea, Japan and India.